Bourke Street Tram Stops 6 and 7 on the 86 and 96 trams. For full Public Transport options please visit the PTV website www.ptv.vic.gov.au. Bike parking can be found near the corner of Little Bourke Street and Exhibition Street and on Exhibition Street. 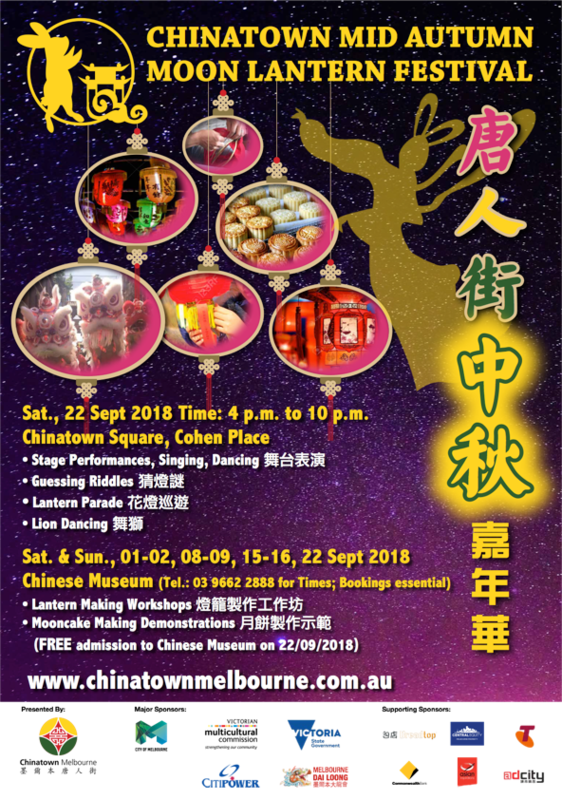 The 2018 Mid-Autumn Moon Lantern Festival encourages all attendees to reduce, reuse and recycle. There will be recycling bins located across the event site so make sure that your rubbish goes is the right bin.